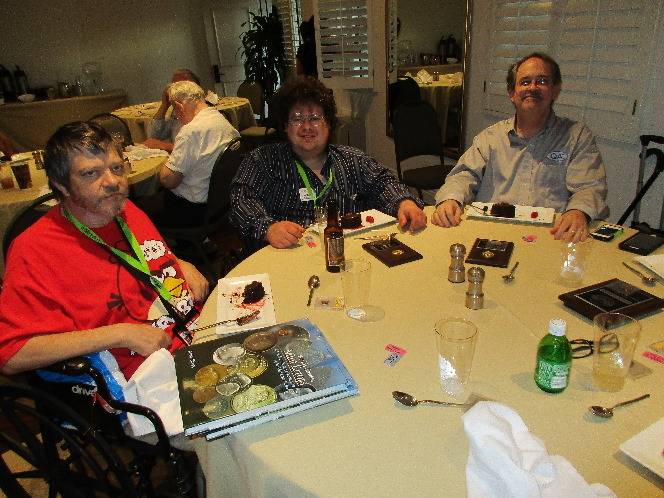 Thursday night we held our annual award’s banquet held at the Anabella Hotel around a mile walk from the convention center. 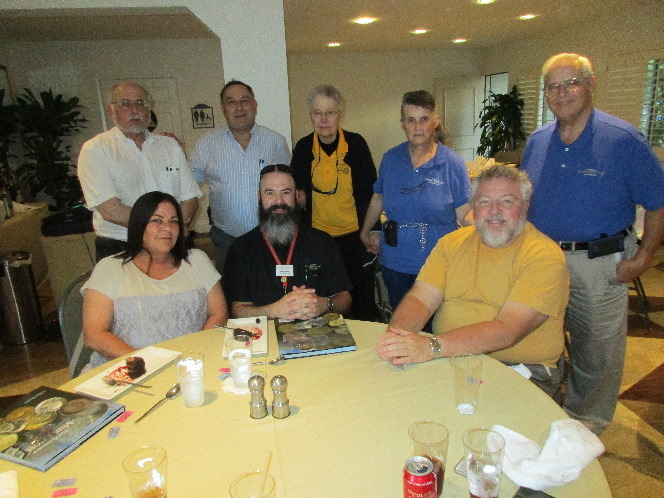 We had a small but distinguished group of attendees at our banquet including Walt Ostromecki, Past President of the ANA, Rod Gillis, Education Director for the ANA, Sam Gelberd, Numismatic Educator for the ANA and a long time CONECA member that I have not seen in almost 15 years Neal Osina. 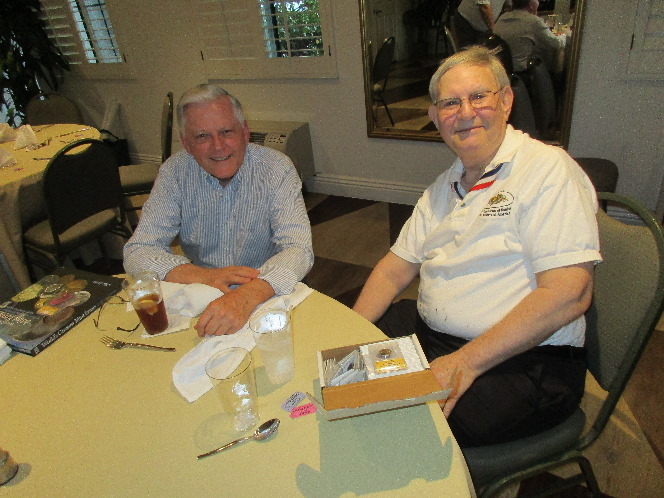 As dinner was in progress we started giving out the awards for the evening and the door prizes donated by Fred Weinberg and Mike Byers. 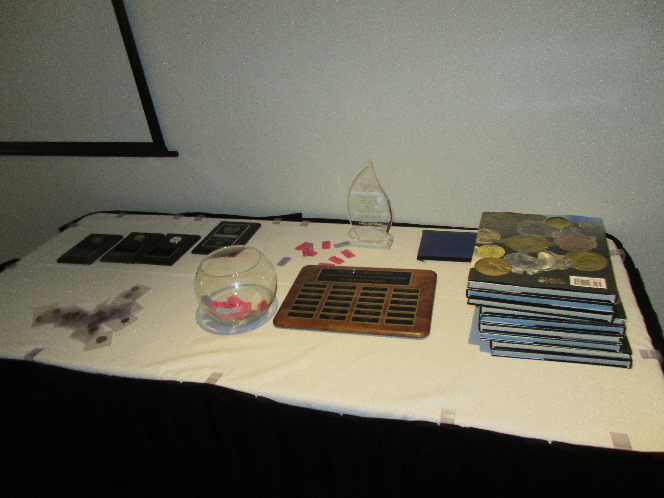 Everyone present won an error coin and 10 people won an book on error coins with these door prizes. The first awards we gave out this year were the literary plaques. These plaques are given to those who contribute to the Errorscope and or the website during the past year. 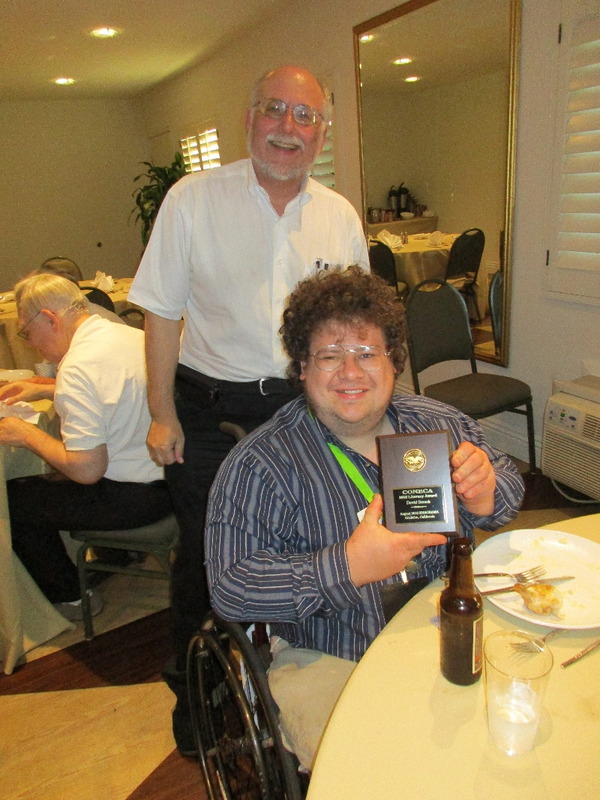 This years recipients were: Jeff Adams, Pete Apple, Joseph A. Ceravone, Jason Cuvelier, Mike Diamond, Mike Ellis, James (Rick) Emery, Bill Fivaz, Robert H. Knauss, Frank V. Leone, Mark Lighterman, Robert (BJ) Neff, John H. Miller Jr., James Motley, Ken Potter, Al Raddi, Grant Shobar, David Smock, Jon P. Sullivan, Leroy Van Allen, James Wiles, John Wexler, John Whitworth and Jeff Ylitalo. The second award and a surprise to this years recipient was the Kenny Knapp recruiting level award given to Jon Sullivan. This year’s Dr King award was present to Jim Motley for all his work done on behalf of the club this year. He has taken up the slack of getting projects completed while others had other more important personal projects to attend too this year. Congratulations Jim. This is the second time in the past few years he has been given this award. 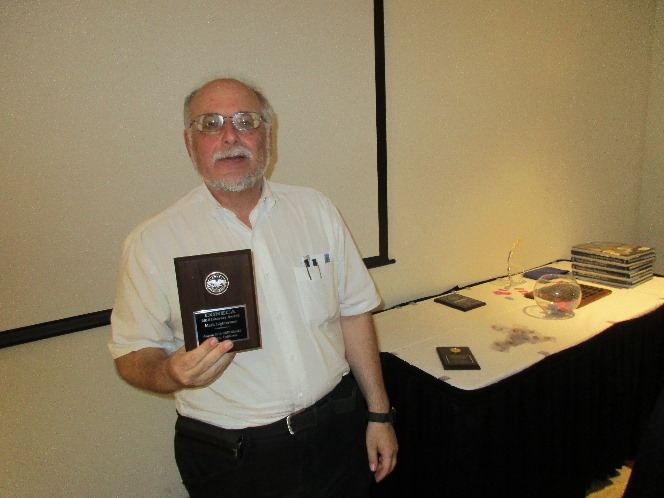 Jim was not present at this years Errorama and his award was presented to him by one of our board members at his local club. Finally It was my great pleasure to induct Lee Gong into CONECA’s Hall of Fame. I have known Lee as a worker for the club even before the two clubs merged into one. We each have been a mentor to each other, in our own ways for all the years we have know each other. Lee taught me how important it to have a present at a show and to always be around the club table to answer question from both members and the public that come by. 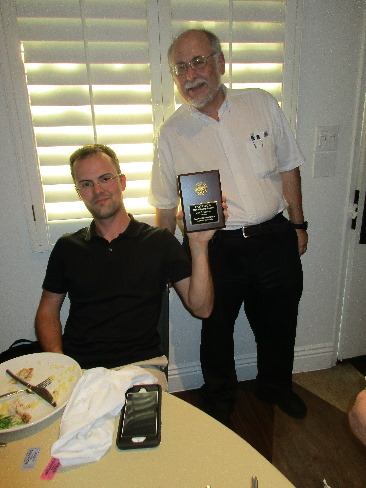 Lee also could not attend this years banquet and he will be presented his award by Walter Ostromecki at the Santa Rosa club meeting and photos of him receiving his award will be posted soon after we receive them. 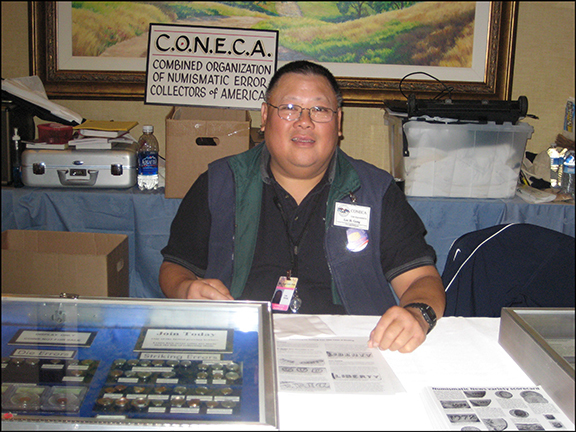 Lee Gong is the 2016 CONECA Hall of Fame (HOF) inductee. He becomes the 19th member inducted into the HOF since it was created in 1987. 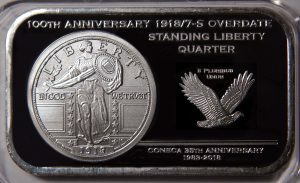 Lee got interested in error coins when a neighbor whose husband worked at a bank offered to trade him a silver 50 cent piece blank for some Buffalo nickels he had. 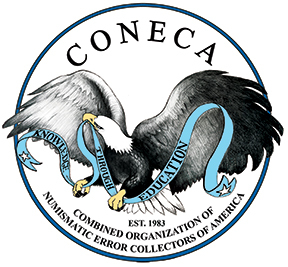 He joined both the Collectors of Numismatic Errors (CONE) and the Numismatic Error Collectors of America (NECA) in 1969 and transitioned to the Combined Organizations of Numismatic Error Collectors of America (CONECA) when the two clubs merged in 1983. 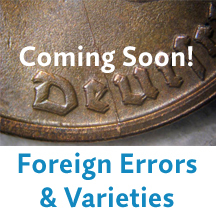 He’s been an avid collector and tireless promoter of CONECA and the error and variety hobby ever since. 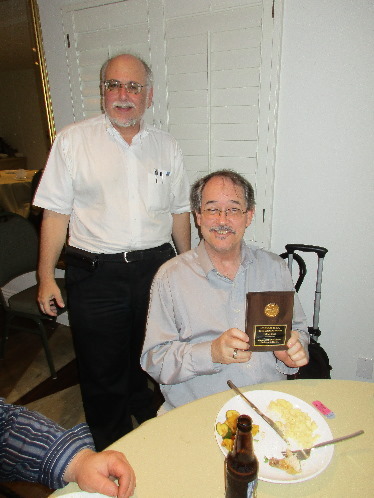 But, Lee is most proud of his service to the club and the error and variety hobby as what he calls a “behind the scenes guy”–promoting the club and the hobby at local, regional, and national shows, and mentoring young numismatists in the 14 coin clubs to which he belongs-including the Redwood Empire Coin Club in his home town of Santa Rosa, California.